Attorney Tonna Farrar’s practice with the firm focuses on all aspects of consumer fraud and insurance bad faith law, including coverage issues, unlawful rescissions and agent liability in the life, disability, health, and property insurance markets. Ms. Farrar is AV-rated by the Martindale-Hubbell Law Directory and is licensed to practice in the State of California, the State of Oregon, the State of Missouri, and the State of Kansas (inactive). 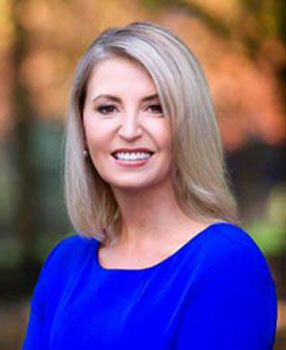 She is also licensed to practice in several federal District Courts, including the Central, Eastern, Northern and Southern Districts of California; the District of Oregon; the Eastern and Western Districts of Missouri; and the District of Kansas. Ms. Farrar received her B.A. in Speech Communication from the University of Missouri-Columbia, and earned her J.D. from the University of Missouri-Kansas City School of Law. While attending law school, Ms. Farrar was the Research Editor of The Urban Lawyer, a national quarterly publication addressing legal issues related to state and local government. For over two decades, Ms. Farrar has litigated numerous cases against the nation’s largest insurers in federal and state courts throughout the United States on behalf of policyholders. As a result of her extensive experience litigating bad faith cases, she understands the types of tactics insurance companies utilize to wrongfully deny claims, and is able to identify claims that are being improperly targeted for denial or termination. She has served as lead or co lead counsel on numerous matters resulting multi-million dollar verdicts and settlements on behalf of individuals wronged by improper and bad faith practices in the insurance industry. Ms. Farrar currently serves as the national Consumer Insurance Chair and the Roundtable Committee Chair for the American Bar Association Consumer Litigation Section. She previously served as the national Roundtable Committee Chair for the American Bar Association Class Action and Derivative Suits Committee and is a past Co-Chair of the CADS ABA Section of Litigation Expo Committee. She is a frequent speaker on complex litigation matters and national educational programming for other attorneys.